Jaazeal Jakosalem is an Augustinian Recollect who tries to sensitize the members of this Family about the ecologic implications of the Evangelization. 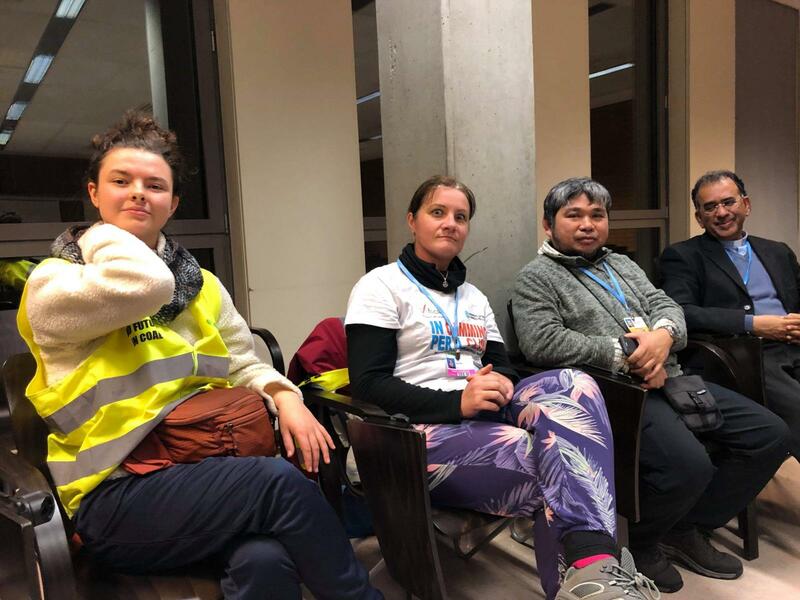 He has been recently in the COP24 meeting in Katowice (Poland) and met other Catholics who are following and promoting the Pope Francis teaching about social and human Ecology. The privatization of Mother Earth is a reality, as if major corporations or big countries or major polluters own our planet. Major countries are better heard than vulnerable island countries or the grassroots movements clamoring for climate justice. 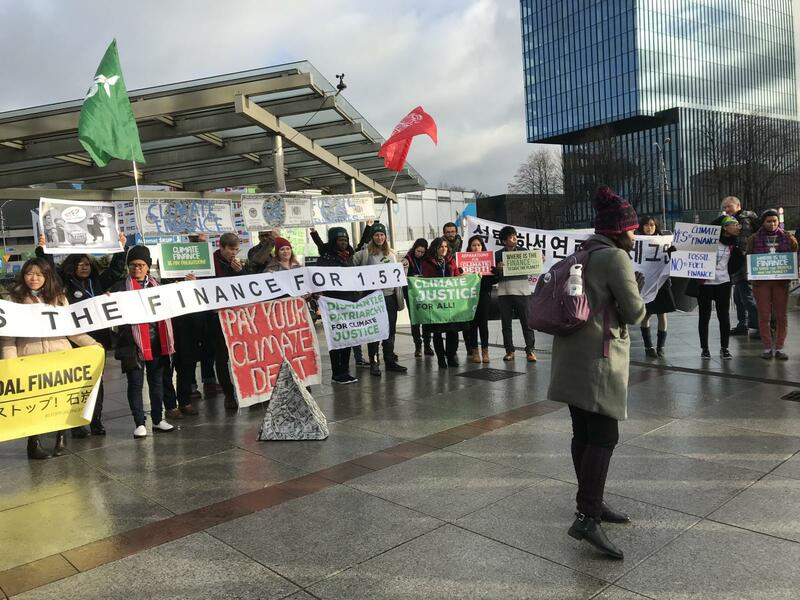 The suffering majority in many climate negotiations demand social equity with regard to accountability of climate impacts. 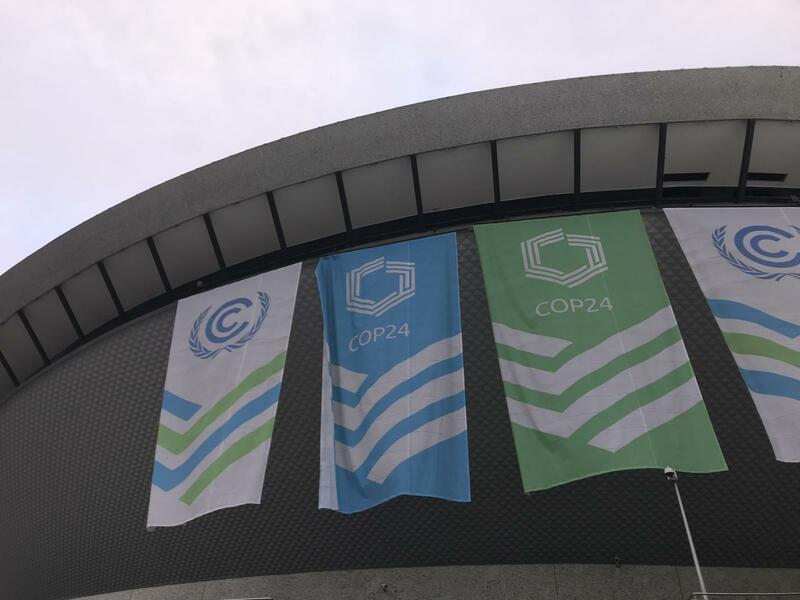 Polluters and corporations are strategically positioning for a better ‘climate deal.’ Sponsorships, exhibits, talks, side events and sessions are mainly corporate-focused, hardly you can find peoples’ organizations, NGOs and environmental groups doing actions. Air becomes a property right. Monopolized by corporate power, being peddled as a commodity by both local and national governments. Mountains, seas and rivers are from the beginning part of our existence, not to be owned but to be cared for. Again, corporations, and now countries are more wanting to do business with Nature. 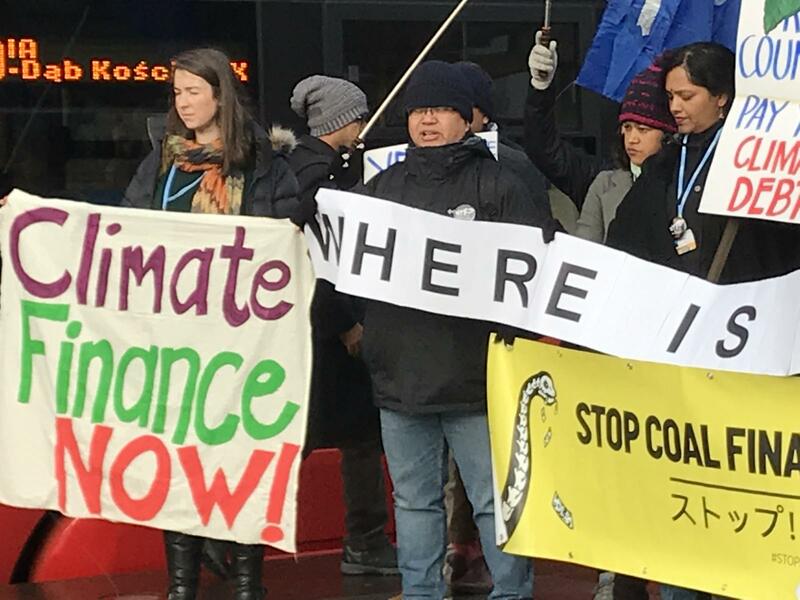 A collective effort composed of 330 organizations issued a global call for climate action, thru a document called “People’s Demands”, with clear and constructive demands for climate justice and for solving the climate disruption. More voices must be raised coming from the experiences and angst of those suffering from the climate crisis —all across the globe. Voices from the ground are richer than the profit of the corporate power, we need to invest in our power to protect the planet and communities. People still calls for “System Change, not Climate Change” of the need to break corporate power that lurks in hiding within government systems. The need to change economic relationships, where government self-interests tower beyond nature, people and communities. Strategic conversations are functioning on the ground, and our government systems must assume social responsibility —for the common good. The participatory involvement of communities, people’s organizations, business, non-government organizations and church-people is very important. 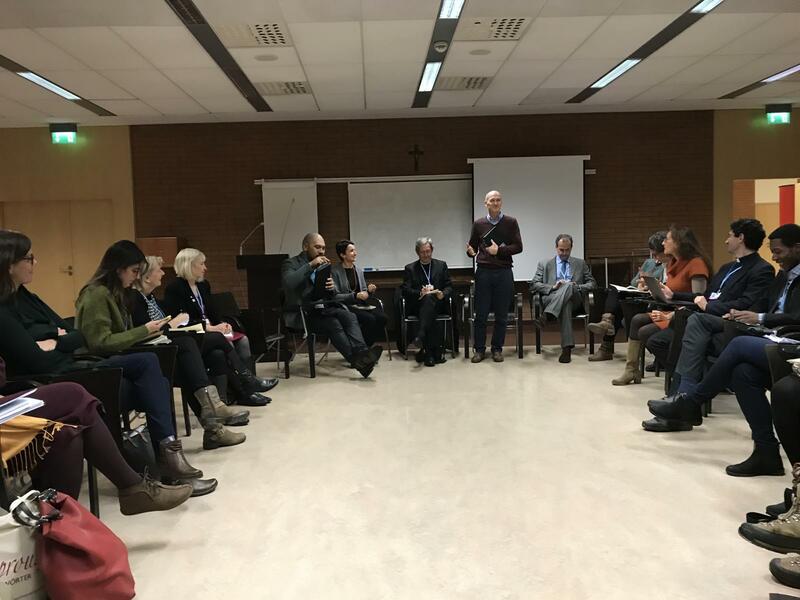 A side event meeting of Catholic organizations active in climate justice work was organized last December at the Faculty of Theology of the University of Silesia in Katowice, Poland, days before the COP24 meeting. It was participated by the Dicastery for Promoting Integral Human Development of the Vatican, Caritas Internationalis, GCCM, The Climate Pilgrimage, CAFOD, The Climate Reality Project, REPAM, Pusyon Kinaiyahan, Union of Superiors General, Franciscans International and ARCORES (Augustinian Recollect International Network). It was a space for listening and reporting of the different ecological initiatives and actions of Catholic organizations globally. 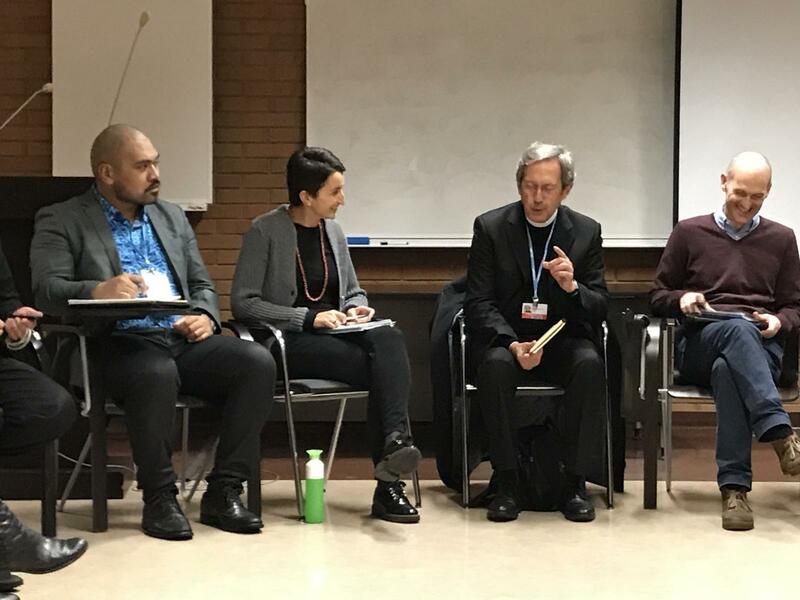 In the spirit of solidarity and cooperation, the Vatican delegation gave a briefing on their diplomatic negotiations within the COP24 meetings; strongly endorsing the 1.5 degrees Celsius campaign to limit emission. A representative from REPAM (Pan-Amazonian Network) also provided an update of the 2019 Special Assembly of the Synod of Bishops that will focus on the current ecological crisis in the Amazonian region and will impact the many ecological crises around the globe. Pope Francis’ Laudato Si’ encourages personal and communitarian response on ecological transformation. As a personal reflection I always relate the image-word “transformation” with “transfiguration” in Jesus’ experience. In this age of global ecological crisis, the transformative experience to combat this damaging crisis is necessary. Our relevance is needed then. We make our communities as our site of struggle. Our communities should take part in a global action to protect the planet. Avoiding the use of plastic and paper. Cooking only what can reasonably be consumed. Showing care for other living beings. Using public transport or car-pooling (walk or ride a bike). Are we using energy efficient utilities and appliances? Are we transitioning to renewable energy (using solar or wind energy)? Are we managing our electric consumption? Are we computing our carbon footprint? Are we practicing water conservation? Are we regulating our water usage? Do we have a rainwater catchment/storage facility? Are we conducting waste inventory? Do we have a recycling facility? Are we buying/purchasing recyclable products? Are we minimizing our waste impact? Are we monitoring our fuel use? Do we encourage the use of public transport? Are we investing on energy-efficient transport? Do we have a community vegetable garden or community farm? Are we practicing to grow organic vegetables? Are our gardens and farms sustainably growing organic food? Are we integrating ecological education in our formation exercises? Are we creating spaces for ecological integration? Do we involve our cooperators in our eco-formation programs? Are we actively participating in mobilization and direct action involving environmental issues? Are we supporting grassroots communities affected and impacted by environmental issues, abuses and violations? Are we sharing our resources to support areas of struggle? Do you pray for and with Creation? Can you live more simply? Do you preach and encourage the God’s People to protect our common home?